“Socialism” remains a rallying cry for the exploited masses of people, though it’s put through the ringer again and again. What does socialism mean in the discussions going on today? A liberal presidential candidate is labeled and labels himself a socialist, his only credentials being he’s farther from the right than his liberal brothers. A gang of so-called “socialists” set themselves up in Greece and become yet another austerity regime. The “socialist” parties all across Europe fit comfortably alongside the bourgeois parties, the only difference being that they’d prefer to nationalize a few more industries, making the state the capitalist rather than an individual. Modern China, as well as the twentieth century actors, feels comfortable calling their state capitalist and anti-democratic policies, “socialist” ones. Socialism is now a term to vilify or bolster an accusation or a credential. The word is warped and resized until all meaning has evaporated into the hollow mist of popular rhetoric. This betrayal and even these moderate reforms do not deserve to use this term. Socialism is something more radical, something excluded from the confines of debate which the capitalist class has set the terms of. Bernie Sanders is traveling across the country making the most shocking of pronouncements and criticisms. The banks and corporations run screaming from the socialist proposals he puts forward; things like moderate tax reform and a slight rise in the minimum wage! Most Americans probably don’t realize this, but even though Sanders’ opinions and proposed solutions are farther to the left than has been seriously discussed recently, he’s hardly the red menace or working class hero he’s made out to be. Will he lose just to endorse Clinton, pulling the old switcheroo? Is he too far left to have a serious chance? Well, isn’t he better than the stuffed suit the Republicans wheeled out on stage? Who cares? The only question we should be asking ourselves is: “Will there be a fundamental change of the situation in the United States?” and if we’re being honest with ourselves, the answer is no. First of all, this radical socialist is running on the democratic ticket. He’s been endorsed time and again by Democrats, and he fits in well with that party. Barack Obama himself even endorsed Sanders in his 2006 Senate bid in Vermont. If he was radical enough to shift the situation in any real way, the Democrats simply wouldn’t allow him to run on their party’s ticket. Sanders isn’t talking about eliminating capitalism, or even taking steps in that direction. He’s talking about tying a bit of ribbon around the neck of the beast of capitalism and hoping this works as a leash. This wasn’t radical when Keynes suggested it, and it sure as hell isn’t radical now. So why isn’t Sanders a socialist? Mainly because he’s diametrically opposed to socialism. He’s a capitalist that supports the fascistic structure of labor as it is. He’s totally fine with allowing the hierarchy to continue as it has, with the person at the top just giving a bigger chunk of change to the state. Instead of the people holding up the hundred tons of capitalist profit, Bernie is going to lend them a hand and take a few pounds off. Bad news, we’ll still be crushed. We don’t need a slightly better version of what we already have, and that better version will not stay around. Whatever mild accommodation is given to us can be just as easily taken, and this has been proven time and time again. We’re looking at someone who wants to bring back policies from the Eisenhower administration as radically progressive. This is as simple as it gets, we aren’t talking about the Senator being a few degrees too right to count him a member of our special club, by any serious definition he is not a socialist. He isn’t even a social democrat, because that requires having the ultimate goal of changing the nature of production, only through gradual reforms and political action. He doesn’t have any plans to set in motion a series of radical changes on a political or economic level, or if he does, he sure isn’t talking about it. You can have a picture of Eugene Debs on your desk, but that doesn’t mean a thing if you don’t listen to what Debs said. That was a candidate who wanted capitalism destroyed. He didn’t want to fix capitalism, he wanted to take the power of the capitalists and put it under the democratic control of the people who he knew truly created it. A far cry from the bland populist one liners of the fraud in Vermont. From Greece, we hear in the news about a new group of “radical leftists” ready to take on the might of the European bankers. The people of Greece put them in power as a clear signal to the European capitalists. They aren’t going to take it anymore! No more austerity. No more assault on pensions and wages because of a problem they had no part in causing. So SYRIZA put the deal with the institutions to a vote by the people, showing their respect for true democracy! Immediately after the Greek people had spoken, they showed how little they actually cared. There’s no other name for this than betrayal. Like a joke, Tsipras encouraged people to vote “No” on an agreement he apparently had no intention of rejecting. The only thing that makes sense is if Tsipras hoped the people would vote “Yes” maybe by a small majority. Then he could shake his head and say he tried, but the people had spoken. But instead, this coward got what he asked for and the people stood up and made a decision. The people made it clear, and gave SYRIZA the knife to cut ties with the troika. They used it instead to stab them in the backs. Now, across Europe and the rest of the world, the capitalists are bolstered. The fascists are invigorated. And the left breaths another long sigh of regret. These alleged members of the left have dragged our names through the mud. They’ve betrayed their people and everyone around the world who gave them any support. They’ve acted like fools and cowards. 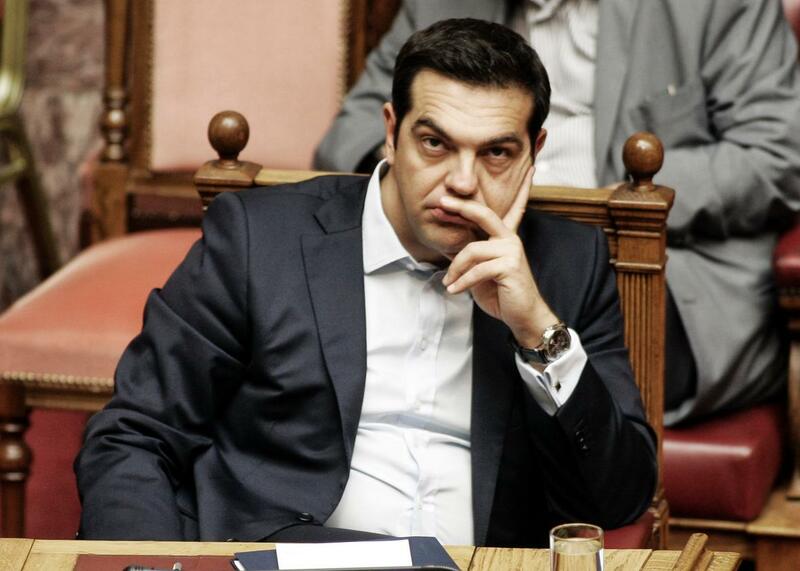 Of course, not everyone in SYRIZA agrees with the decision that’s been made. MP’s began stepping down immediately and the infighting cracked the facade of strength and unity. This will do no good; SYRIZA has lost any chance of legitimacy. So we’re left with three broken parties: PASOK, New Democracy, and now SYRIZA. We could pretend the communist party has a chance, or that their party would do any better, but that would just make us feel better. This betrayal is worse than the usual lies and cynical promises of politicians. The only strong party now is one that has been waiting in the wings, hovering over the weak and limping SYRIZA, waiting for the inevitable collapse. This failure makes way for the Golden Dawn. With much theatrics, the fascists will slither out and show the people this agreement. They’ll spit on it and curse it, saying “Look what the left does for you!” They’ll tell everyone willing to listen that if it wasn’t for the immigrants, the elderly, the Jews, or whatever scapegoat, they wouldn’t be in this mess. And the so called party of the radical left will have given them their ears. This was SYRIZA’s chance to show the people of the world an alternative, but they showed they were impotent. The people will look for an alternative elsewhere now. The only hope we have is that the people of Greece will instead stop looking for salvation in the rigged game of parliamentary politics and rise up to take matters into their own hands. The liars and traitors they elected can suffer the consequences. There was less drama when the French socialists were elected. The people of France did not elect them with hope and confidence, but with a sigh. The French Socialist Party has a long history of being sell-outs when times are bad, and mild reformers when things are going good. Everyone knew how things were going. Austerity was imposed, but maybe a lighter version than what would have been. Some people were angry that they lied, but most knew that they would. Now is the time to lie low for this “socialist” party. Maybe when things pick up again, they’ll nationalize something and we’ll all feel better. This is reflected all throughout Europe. Large, nominally socialist, parties get in to office and are less evil than the alternatives. They’re certainly not the US Democratic Party, but they’re also nothing worth getting excited about. That’s the end result of this alleged “strong socialist tradition” in Europe. From the beginning, these social democrats sold the people down the river, only with a friendlier face and assurances that someday things would be different. But things aren’t different. These old parties are slow and senile. They make promises they can’t follow through on, and then forget them a moment later. It’s time to pull the plug on this gasping and suffering old lot of liars. It’s time to retake socialism from their decrepit, bony, fingers and lead them to the nursing home. We know they can’t be trusted, but we like to look at their sagging jowls. Because if you squint a little, they look like the strong socialist party we imagine. 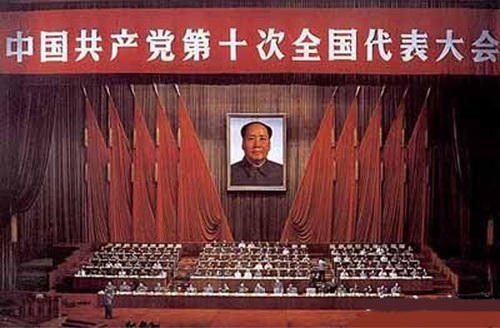 China today is not seriously considered by many leftists to be an actual socialist country. The only people who really say it is, are the best friends and worst enemies of the Chinese government. China calls its system a sort of “special socialism.” Very special indeed, because it’s economically indistinguishable from a capitalist country. Its political situation is a bit different, since most democratic influence that a western country might have has been stripped away, but socialism this does not make. The workers in China have as little control over their jobs as the workers in other capitalist countries, the only difference is that their decision making power in the political sphere is just as limited. China today isn’t much different from the allegedly communist countries of the twentieth century. The Chinese didn’t “restore capitalism” because it never left. The structure of the workplace simply shifted from control by a capitalist to control by a state official, and recent reforms serve only to create a mixture of the two. In this way, it’s not much different from Germany or Japan. Some nationalized industries, some private ones. Currency controls here and there. China is neither a menace nor a utopia. Getting down to the actual facts, its political and economic system is rather standard. These communists are not communist, they’re practically western liberals. Everywhere we look we find betrayal and incompetence, with no one to lead us into the promised land. Our problem is that we keep our eyes turned upward, picking out ever changing faces from the upper echelons of society. We pick incorruptibles to watch them be corrupted, and choose the little guy to watch him grow strong. It’s time that we stopped looking into the clouds and looked around at each other. The only salvation we’ll find is among ourselves and with each other. When you push a group into power, no matter what that group stands for or who it is composed of, that group becomes the powerful. The powerful few is always the enemy of the powerless many. For hundreds of years we’ve let them fool us. We’ve let them set the terms of the debate and make our movements their own. When you put your faith in these people, they’ll just put their hands into your pockets. We’ll only be disappointed if we are fooled into thinking that their promises aren’t lies. It’s time to make a party and a society that’s democratic in more ways than rhetorically. The only way to make a democratic change is through direct democratic action, and our actions are much more powerful than our ballots.